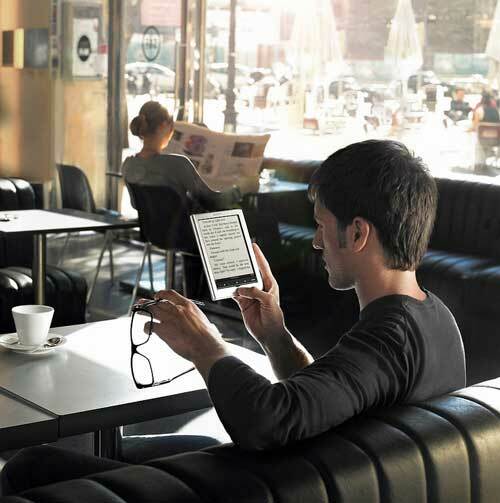 Sony are finally to enter the electronic book market in Australia, with the launch in early September of two models, the Reader Touch Edition and the Reader Pocket Edition. I say finally, as Sony have been making e-book readers since 2004. The two models, the Reader Touch Edition (pictured below, left), and the Reader Pocket Edition (pictured below, right), are both touchscreen, 6 inch and 5 inch screen size respectively. And where will the electronic books to feed the Reader(s) come from? Sony have partnered with the online bookstores of REDgroup Retail – you might have heard of them, but you have heard of the brands they own, Borders, and Angus & Robertson. The Reader supports an ePub format and other ebook formats, which makes it compatible with a variety of ebook content available online.